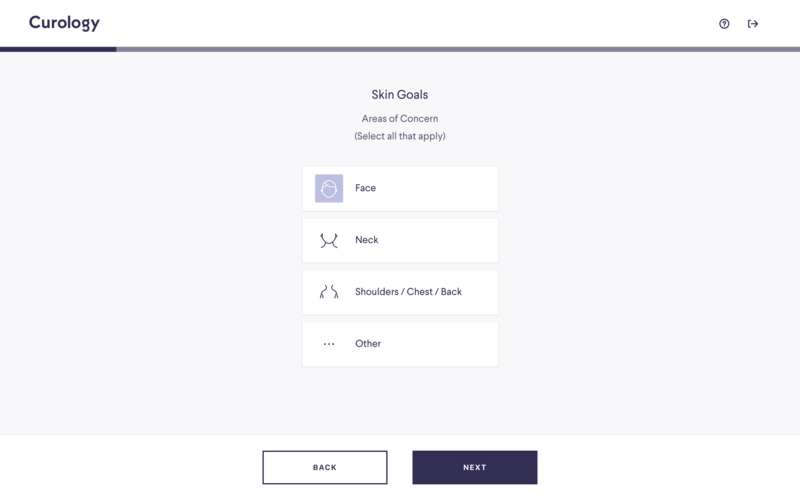 Curology offers customized skincare products to users based on their unique skin type. In order for their product to work its magic, Curology needs personal data for each customer before they even use the product. Questions are broken down into multiple-choice answers that most people would feel comfortable narrowing down to one. The range of questions is fun for customers to answer because most customers are likely not accustomed to prescription skincare and might not realize how much can go into determining the right ingredients for their face. Answering the questions alone make the user feel that much closer to the “aha” moment they hope to get from the product—clearer skin. Making the onboarding all about the customer is also a great customer service tactic. Surveys bring the attention to the customer and will make new users feel like the company genuinely cares about their success.